QA for reflectance, USGS This link says QA bands are available for all reflectance bands. Just couldn't find them. I just downloaded a Landsat 7 Surface Reflectance scene from USGS EarthExplorer. It contains QA bands. 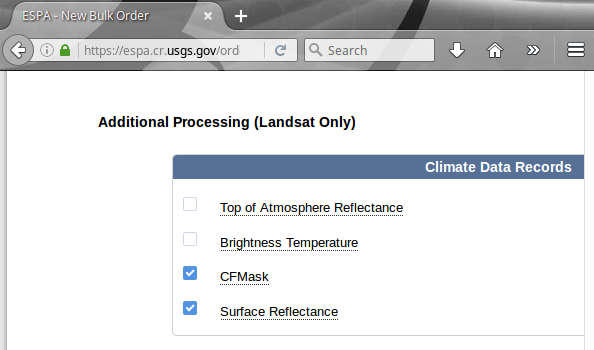 If you are ordering from the USGS ESPA, CFMask should be included by default in the Surface Reflectance product, but can be ordered separately (tick the CFMask box). If you download Collection-1 Landsat Images, both Landsat 7 and Landsat 8 Higher Level Data Products will come with pixel QA band. Otherwise you need to download the CFMask which has the same information but calculated with a different algorithm. For more information you can check https://landsat.usgs.gov/landsat-surface-reflectance-quality-assessment website. 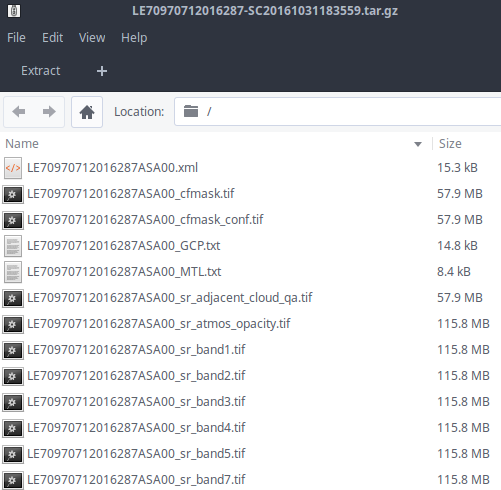 Please be informed that its announced on the ESPA site that starting from June 2nd CFMask wont be processed for Landsat Collection 1 Higher-Level data products. Not the answer you're looking for? Browse other questions tagged data landsat usgs landsat-7 landsat-5 or ask your own question. Which DOS method use to convert at-sensor radiance to at-surface values in GRASS (landsat data, i.landsat.toar modul)? Where to download 4-band NAIP imagery for California? Misalignment of landsat images in GRASS? Selecting Landsat bands to download from Google Earth Engine?